With a mighty whirlwind and a commanding light, Rayne expels the mercenaries, and brings light to Veres. But will his victory be short-lived? When Rayne and his friends return to Emporium City, they find an old foe waiting. Accused of a crime he didn’t commit and hunted by bounty seekers, Rayne struggles against the mounting odds. Helped by his friends, he escapes to Amathea, where Travis joins them and the quest for the scrolls continues. New foes arise and old ones threaten, as Rayne seeks the next scrolls. But will the deceit of friends bring his journey to an unexpected end? 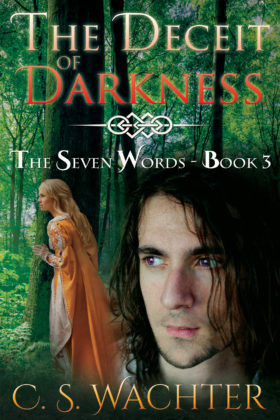 Book 3 in The Seven Words series.